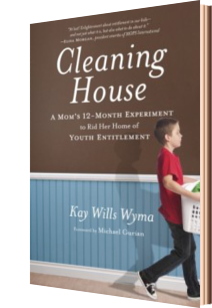 Always interested in the creative ways that parents motivate and mold children into productive adults, I gladly read and reviewed Cleaning House: A Mom’s 12-Month Experiment to Rid Her Home of Youth Entitlement by Kay Wills Wyma. Are the youth here in this Mama’s Corner of the World suffering from extreme entitlement issues? 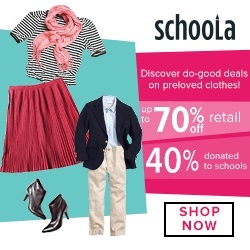 Let's just say learning a few life skills over the summer sounds more appealing to this busy mom every day! What did I think of Cleaning House by Kay Wills Wyma? A summary of Cleaning House by Kay Wills Wyma. A busy, mother of five realizes that parenting is about more than catering to a child’s every want and need. If a parent wants to raise a productive, successful—capable—adult, that parent needs to restructure a family’s pathway to youth entitlement. Kay Wyma’s family embarked on a 12-month journey through all of the many skills, from laundry to yard work that a child should learn before adulthood— but often does not. Throughout the book, Wyma offers personal insights into work ethics, pride, parenting roles, and expectations in a refreshing way not often present in today’s “everyone gets a trophy” society. Readers follow Wyma’s family through the ups and down of her life training experience. Cleaning House offers an honest look at family life. The Wyma’s lifestyle differs from my own in that I will not pay each of my children $35 a month for a couple of basic chores. In spite of that difference, I was able to relate to the book’s sentiments—and to Wyma’s fears and desires as a mother. When her experiment yielded successes—she pointed them out. When other months created mini-disasters, those not-so-pretty moments appeared equally on the pages of Cleaning House. Life is not always neat and pretty—and cleaning it up is not always easy. Wyma approached the "experiment" honestly--without sugar coating. Cleaning House fits into a busy mom’s leisure reading schedule. Cleaning House covers the entire Wyma household experiment—and is a rather long book. However, it seems that Wyma wrote the book with a mom’s free time in mind. Each chapter is essentially a stand alone short story filled with that given month’s activities and Wyma’s insights and reflections. If it takes a while to read, but that is okay because readers will not lose sight of the moral of the story. 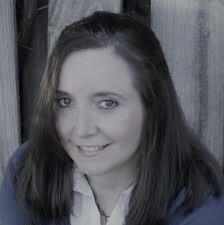 Final thoughts on Cleaning House by Kay Wills Wyma. I enjoyed reading the ups and downs of Wyma’s Cleaning House experiment. In fact, in my own effort to rid my home of certain issues of entitlement—we may be embarking on our own, smaller scale journey to a cleaner home here in A Mama’s Corner of the World! Are the kids in your home learning everything possible in order to function in the world without you by their side? I would encourage you to read Cleaning House—even if your little ones tackle chores and household duties with ease. 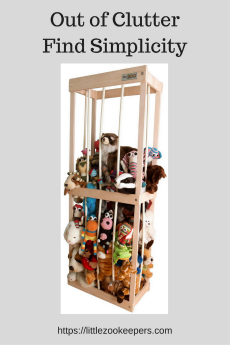 Cleaning House packs twelve months worth of life skill teaching ideas—complete with pitfalls and lessons learned for both parent and child into a well written package. Disclaimer: I received this book for free from WaterBrook Multnomah Publishing Group for this review. As always, all of my opinions are my own and are not influenced by the publisher or brand reviewed.